Absolute showstopper. 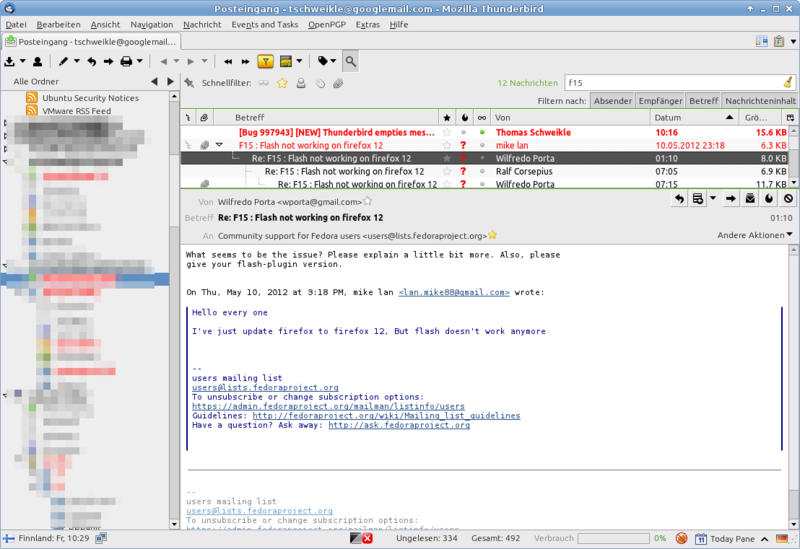 Thunderbird empties mail while copying! It is not only one Mail, there are about 200 empty mail! Same for other imap-accounts than googlemail. This is related to how Thunderbird acts on filtering. One action seems atomic, but multiple actions are done out of sync and in parallel --- this is OK, as long as none of these actions removed the mail. As soon as this is the case, some of the defined actions may work on something removed without noticing. Leading to empty mail copies. All actions done on one Mail have to be threatened as one transaction. 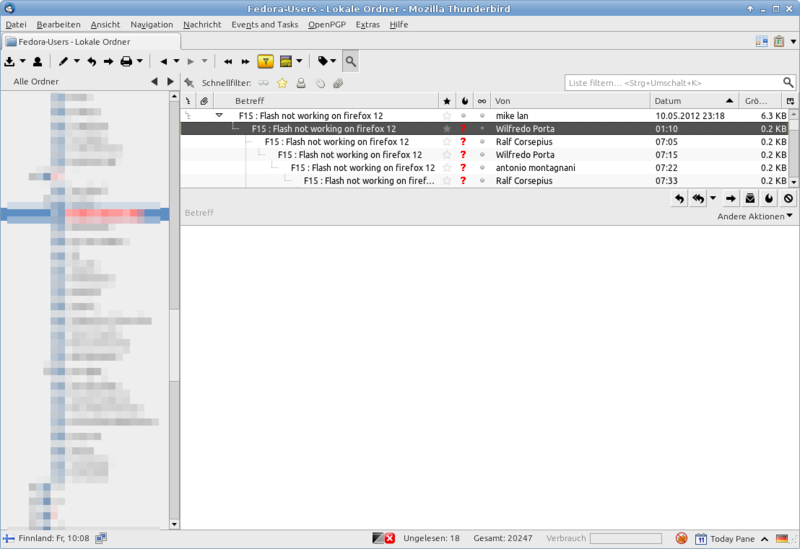 All actions done on one Mail have to be done one by one, as defined by the filter. why does it move the mail *before* it is copied??? I just added a new mail account to Thunderbird, which requires copy mailing lists messages on my local folders, and this bug is driving me crazy. I see there is no progress at all in spite of the fact that it seems to affect quite a number of people, is there a corresponding bug open upstream?